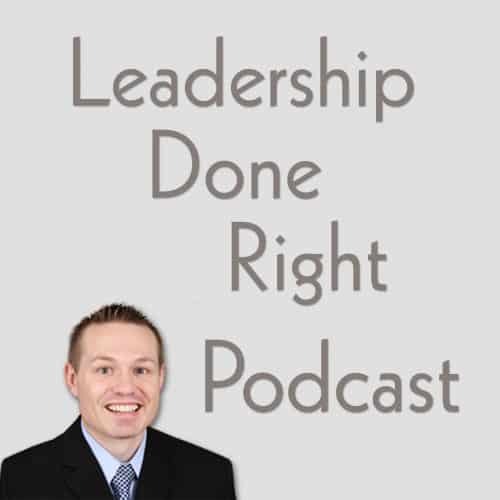 Hello, and welcome to the Leadership Done Right Podcast, Episode 79: Goal Setting Made Easy — Create Goals with the Framework and Plan! Hi friends! I want to start this episode by wishing each of you a very Merry Christmas! Every year around this time I love talking about goals. So, I want to share an episode from last year when I shared my proven goal setting strategy. Whether it is the start of a new year, you are starting a new job or you are starting another new stage in life, it is always a great time to talk about goal setting. Goals and goals setting can be challenging, especially if your goals cause you to stretch more than you have stretched in the past. The “S” stands for “Specific”. Specific goals are clear, concise, and easy to understand. Specific goals explain exactly what you want to do and how to do it. They are NOT lofty, ambiguous, “up in the air” goals that are difficult to understand. The “M” stands for measurable. When a goal is measurable, it is quantifiable. If your goal is not measurable, there is no way to determine if it was successful or not. The “A” stands for attainable. Goals should make you stretch beyond what you felt was possible, but still be attainable. A goal that is far beyond your capacity will likely lead to discouragement and demotivate you from completing goals in the future. Attainable goals are challenging and require concerted effort to complete but promote growth and progress. The “R” stands for relevant. Goals should be relevant to your current purpose. A leader should set goals relevant to their leadership objectives and success. Whatever you are doing, your goals should be relevant.